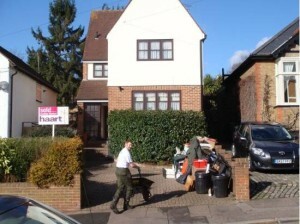 Need a Garage Clearance in Woodford Green IG8? 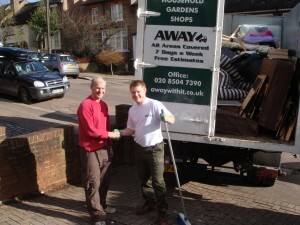 Are you searching for garage clearance in Woodford Green or the IG8 postcode area? For over a decade we have been supplying garage clearance Woodford Green property owners repeatedly rate highly and are happy to recommend. They really like us for our fast, versatile service and economical rates. We believe you will too! Is your garage filled with worthless junk? Are you moving house and need to get rid of it pronto? Are you tired of leaving your vehicle out in all seasons as there’s no space for it in the garage? Or maybe you’re planning to transform your garage into a home office, gym or workshop? These are just a few of the reasons customers in the IG8 area opt to use our garage clearance service. Whatever your reasons, we can promise you convenient and flexible service at a competitive price. We are licensed waste carriers. You can count on us to perform a completely professional job and take care of all your waste properly and lawfully. We are a local business and we work seven days a week from 7am to 11.30 pm. Evening and weekend collections are available for your convenience. We offer a swift, same day collection service. When ever you need us we are only a telephone call away. Booking is in two hour slots and we’ll always call ahead to let you know when we’ll be arriving so you can plan your day knowing you won’t be left hanging around. Our transparent pricing means there won’t be any unpleasant surprises when the job is completed. The price we quote is the price you’ll pay with no hidden additions. We always sweep up when we’ve finished and will leave your garage neat and clean. 80 per cent of the items that we remove will be recycled. To speak to a member of our experienced team about your requirements for garage clearance Woodford Green just give us a ring on 0208 504 7390 or 07957 123019. We’re right here 7 days a week to take your call and will be able to answer any questions. Plus we’ll give you a free competitive estimate that includes all labour, carrier and disposal fees with no hidden extras. Or, provide your details using our online enquiry form and we’ll respond you right away.